The Great Reading Room, located in Seerley Hall, can be reserved for a variety of events, programs, and activities. The room is available to be reserved for official events of the President, Vice Presidents, colleges, and departments. 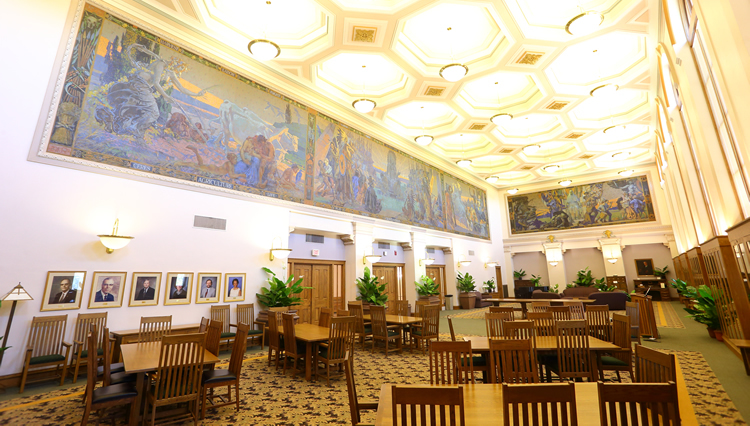 The Great Reading Room is primarily available for ceremonial events that recognize or honor a connection, contribution, or commitment to the university.